The ultimate goal of spirituality has always been for human beings to continuously evolve to higher levels of maturity and personality and character improvement. As individuals achieve incremental improvements across their lifetimes, civilization as a whole slowly but surely advances to greater maturity and deeper awareness of the subtle. This is how we, humanity, have evolved over thousands of years to become individuals with highly refined personality and character traits. In fact, this is the way nature wants it. Nature desires that each human being reach the pinnacle of achievement, that we become absolutely perfect, a true mirror image of the flawless divine power. We cannot know how many thousands or millions of years it will take for humanity to reach this pinnacle of evolution, but we do know that the innate mechanism to pursue this lifetime journey is implanted within each of us by nature. That mechanism is our subtle energy system. In fact, our subtle energy systems have kept pace with the advancement of human civilization, evolving over time. The intricate design of the subtle energy system within us paves the way for us to continuously improve ourselves throughout our lives. The vital all-pervading force is the vehicle for a grassroots level of self-improvement. Human beings perish after one lifetime, and most everything we humans create has a finite life, as well. But nature and its creations continue to last for millions of years… oceans, land, air, vegetation and the continuous birth of new human beings. Nature follows its own rhythms, its own path of evolution. More importantly, it has its own plan for evolution of living beings. Once we identify this subtle force of nature at work in our lives, we can use it to our advantage by pursuing the path it has designed for us in order to evolve to the highest reaches of human consciousness. Nature never interrupts or stops us in our pursuits, even when we stray from the path and veer off in the wrong direction. We have complete freedom to travel where we wish. Yet, the consequences of straying from the path that nature has set out for us are always less than optimal… we end up dissatisfied, disappointed or disillusioned, or at least feeling incomplete in some way. Depending on how far we stray from the path nature has mapped out for us, we may also experience needless pain or suffering as a result of our choices. The fastest and most effective path of evolution, therefore, lies in being able to understand this natural force and learn how to swim in sync with it. Nature itself may test us at every stage to see if can maintain this rhythm of Self evolution. We understand, perceive and use this subtle force by activating our innate subtle energy system — the vehicle or medium for each individual’s betterment, personality and character improvement, and spiritual advancement. In the practice of Sahaja meditation, the Kundalini energy flowing through the chakras and channels nourishes them with the vital energy necessary for all our physical, cognitive and emotional improvements. Each energy center (chakra) provides the underlying power, source or essence of specific personality and character traits. These traits were attributed or established within energy centers and energy channels during the evolutionary process of human beings when the inner subtle energy system is formed. The more we tap into this powerful energy, the more we exhibit these traits innately and naturally, with minimal effort. On the negative side, however, imbalance and negativity in our energy centers can trigger bad behaviors. Removal of imbalances and negativity can eliminate these negative behaviors. As centers are nourished, positive behaviors are reinforced and strengthened. The extent of nourishment is directly proportional to the strength of the connection and flow of the energy — the widening of the central channel. The central channel, which is crucial to maintaining daily, ongoing energy balance, is the channel of spiritual ascent, the power which sustains our evolution and guides us, consciously or unconsciously, towards higher awareness. While Sahaja meditation can provide immediate short-term stress relief, the practice can extend far beyond that, well beyond a tactical, day-to-day assessment of one’s mind, what’s clouding it, then through meditation, clearing it. Improvements in personality and character happen slowly but surely, with every bit of incremental improvement contributing to overall long-term improvement, which you could think of as foundational improvement. Improvements result from the nourishment and removal of imbalances in the energy centers and channels that are the root, core or foundation of our existence — our Subtle Self. No doubt, we may experience regressions, and at times, our behaviors may be worse than ever. But the overall, long-term trend is always upward and positive because our subtle awareness is continually increasing, even as the energy centers are being cleared out. Two things, therefore, happen at the same time: the establishment of the innate qualities within us and growth in self-awareness. So even if our behavior shows some deterioration, we make mistakes along the way, or some temporary negativity enters our subtle energy system, the increased awareness kicks in, resulting in a much stronger, much more intricate level of self-feedback. Thus, typically, the response to regression by the Sahaja practitioner is stronger and more determined to overcome setbacks. This enhanced self-awareness through Sahaja is not mere cognitive perception. It is a real, tangible experience — the sensation of vibrations one can feel on one’s central nervous system. These vibrations flow in accordance with the state and health of our energy centers and are precisely correlated with the innate trait characteristics associated with energy channels and centers. 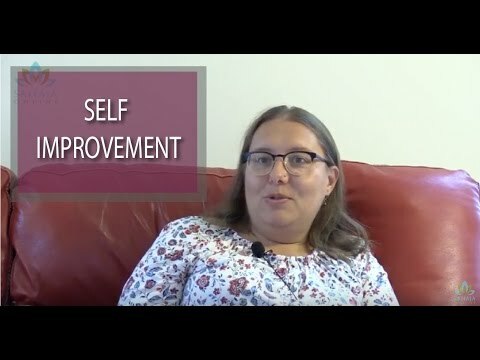 In Sahaja, personality and character improvement also happens somewhat differently from approaches that employ mere cognitive self-assessment, retraining, or conscious self-regulation by an individual. The diagnosis of what is not right with one’s personality is accomplished through the perception of the energy flow or vibrations and detection of imbalances. This diagnostic ability, while predetermined, is, more often than not, automatic when the connection of one’s inner Kundalini energy is strong. Indications of imbalances are felt automatically, and in most cases, immediately after the slightest trace of imbalance occurs. 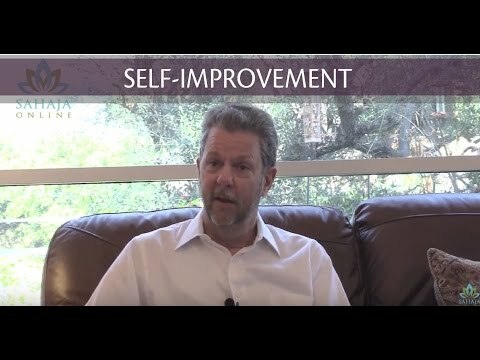 Improvement happens through an innate strengthening and nourishment of the energy centers, in addition to a conscious cognitive and emotional awareness of oneself. These two abilities assist each other and bring about a more consistent and sustained improvement in the medium- to longer-term. The practitioner is less focused on short-term stress relief or other temporary improvements, and tends to form a wider, longer-term perspective of his/her Sahaja practice, viewing it as a journey rather than a destination. The finer aspects of our character and personality improvements become more visible in the medium- to longer-term, as we continue to improve our subtle awareness. These qualities are innate, and one can verify the improvement of these innate characteristics through experimentation and trial and error. Sahaja practice wisdom does not hold that all personality/character development and problems are necessarily related to the chakras. 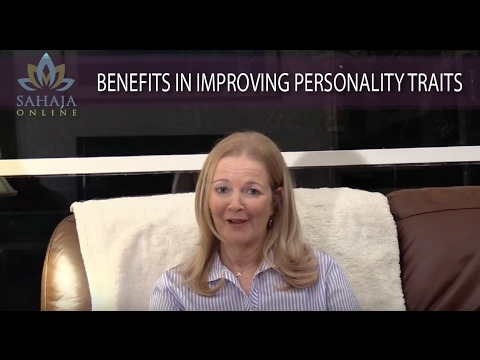 Genes, environment and our life experiences definitely influence our personality and character traits, as well. The chakra scale of innate qualities is a set of fundamental traits or attributes that influence our character and personality significantly, albeit, subject to the extent and quality of meditation we perform. How much it can offset, overcome or enhance the original character and personality already ingrained in us is hard to pinpoint. But ultimately, it is in the hands of the practitioner. Stated another way, the effort one needs to overcome negative traits can be significantly lower if we use the supportive, guiding force of our subtle energy system. Even with a significant influence by the Sahaja practice, no two people will be alike. 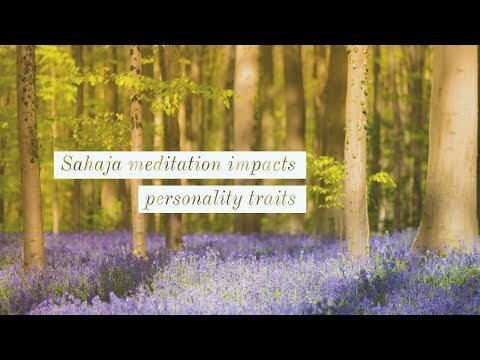 The goal of spirituality is not to create robots where everyone has a similar character or personality; rather, Sahaja meditation orients the personality towards spirituality within the context of their overall unique personality. The optimal or ideal set of traits being established and fully manifesting in an individual is a state of subtler existence… different people can achieve that state with varying lengths of time through different approaches. The second concept, tatwa, is the essence of qualities or principles of character in absolute terms (not relative to anything or anyone else). Spirituality is meant to enable human beings to acquire the essence of a particular principle, such as for example, the Guru principle. The Guru principle would mean that we’d need to develop the ability of mastery, self-discipline, gravitas and so on. Sahaja spiritual qualities are based on an absolute scale or paradigm and not on relativity or subjectivity that is created by human beings. God wants to create human beings as ideal mirror images of him. All the tatwas or essences of Character and Personality are incorporated into the universal consciousness — the macrocosm — and thereby in microcosms, which are the individual subtle systems in each of our energy channels and chakras. The microcosm, however, requires activation in order to realize and actualize the essence within and to then draw upon it to improve personality and character at an individual level. This happens through the process of Self-Realization at the beginning of the Sahaja practice, and continues to occur thereafter through the ongoing practice of meditation. The stronger the connection of our Kundalini energy to the all-pervading energy, the more we’re able to tap into these essences, and, as a result, these desirable qualities begin to manifest within us. Thus, the essences and personality influencers are innate. They cannot be infused or injected, only activated and nourished. What do actual “realized” people look like? Some individuals who can be considered “born self-realized” or “born enlightened” are born with their spiritual qualities fully established. They may simply be able to exhibit these throughout their lives. However, two striking aspects are unmistakably common across such people — altruism and self-transcendence. Good examples include: Abraham Lincoln, Mahatma Gandhi, Buddha, Albert Einstein and many others. While these are famous examples, there have always been not so famous people in all civilizations who, over the ages have exhibited innate qualities that enabled them to make a strong positive impact on their communities and countries. 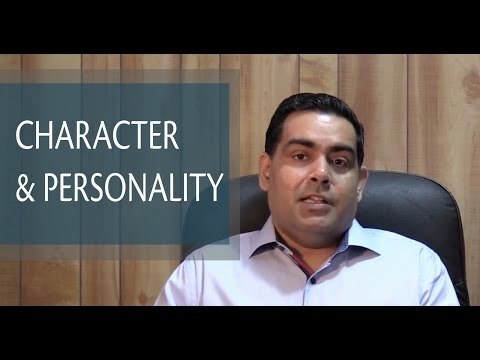 The key point to note about all their lives is that they did not acquire or develop their personality and character traits through some personality improvement program or through cognitive analysis. Their innate greatness and qualities were already established. Or they seemed to have the natural ability to adapt themselves over their lifetimes to make great contributions to humankind that are acknowledged by generations to come. Their intuition seems to have guided them into becoming revolutionary thought leaders. In our practical lives, not everyone can become an Abraham Lincoln or Mahatma Gandhi. But we can surely develop such qualities intuitively and develop deeper subtle awareness that can lead us to contribute and have impact on the lives of people all around us — our families, work colleagues, friends and our communities in general. The path to a fulfilling life then becomes clearer and easier. This, in the end, is exactly what a spiritually evolved personality can hope to achieve through a practice like Sahaja meditation.